An oreo is a cookie. An oreo in a cookie? Seriously people; genius pure genius. I'm loving these new batch of interesting kitschy cookies and cakes that I've been seeing lately; they make me really, really happy. Basically this cookie is good... and large! As if good wasn't good enough (haha) but they are LARGE and good, double score! 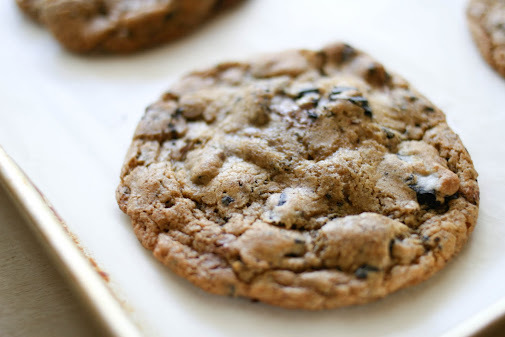 These are choc full of cookie goodness, chewy interior, crispy interior and gooey chocolate. Really what more could you ask for. 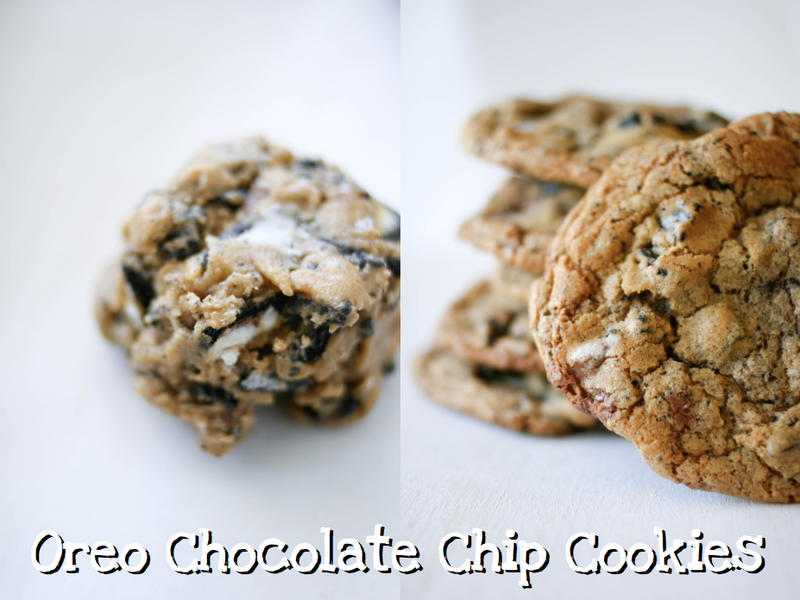 Although these babies are yummy, I must say, I don't think I'll ever find cookies as good as these two: here and here. Mmmm cookies. Preheat oven to 325 F. Line a cookie sheet with parchment paper, set aside. Sift together the flour, baking soda and salt, set aside. Cream together the melted butter and sugars until well blended. Beat in vanilla, egg, and yolk until light and creamy. Mix in sifted ingredients until blended. Add crushed ores and beat on low for a few seconds. 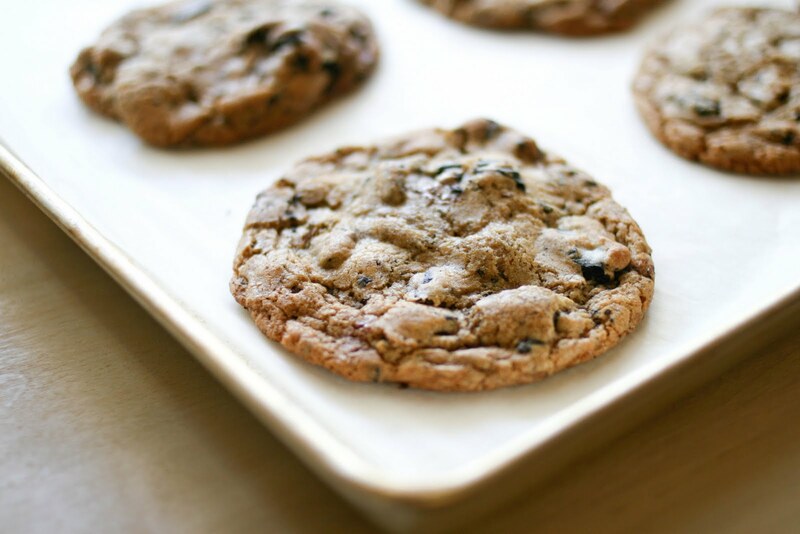 Stir in chocolate chips then drop cookies 1/4 cup at a time onto prepared cookie sheets, 3 inches apart. Bake for 15 - 17 minutes or until edges are lightly toasted. Cool for 5 minutes then transfer to wire rack to cool completely. Get out of here!? This is a great recipe!! These look delicious! I will have to make them soon. Love your blog, by the way.